For medium loads, for linear movement of dies: The lifting pistons are provided below each roller allowing rollers to be lifted individually. The basic bodies are made from a high-strength aluminium alloy. Lifting pistons are provided below each roller allowing each roller to be lifted individually. Max. operating pressure: 120 bar. Max. 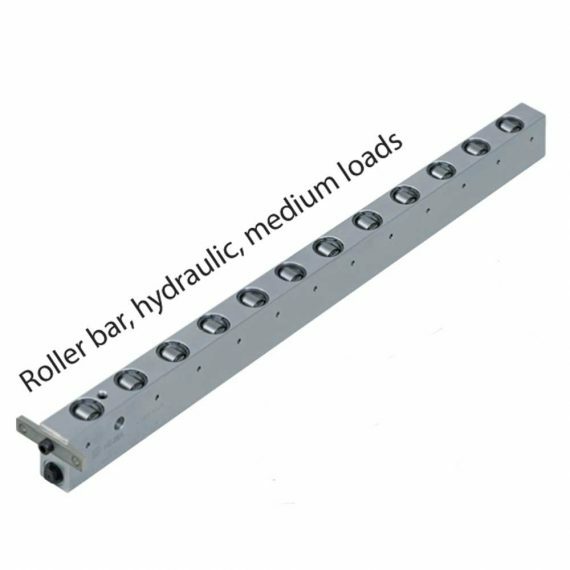 load-bearing capacity: 99 kN/m, flexible roller spacing and orientation. Any variable length in a single piece design up to 2900 mm. 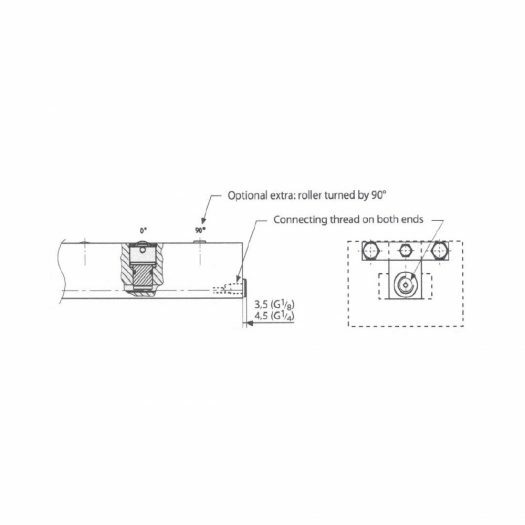 Fastening of the roller bar using a fastening plate or a wedge lock.